A week or so ago we reviewed Dan Bongino’s book, Life Inside the Bubble and told you how you could help Dan in his campaign for Congress. Today Utah’s principled limited government constitutional conservative Senator Mike Lee has given Bongino his support in an endorsement that tells you pretty much everything else you need to know to support Dan’s campaign. “Each election cycle produces a few candidates that we can truly get excited about: men and women who have exemplary leadership experience, a steadfast commitment to conservative principles, new, fresh solutions to today's challenges, unimpeachable character, and the willingness to fight the failed status quo,” said Senator Lee, and we couldn’t agree more. Dan is running for Congress in Maryland and has dedicated his life to serving and protecting this country. Dan first served as a New York police officer before spending more than a decade as a United States Secret Service special agent. He has literally put his life on the line to protect our liberties, our values, and our shared beliefs. And now he is asking us to help him take the next step to serve our country in the House of Representatives. 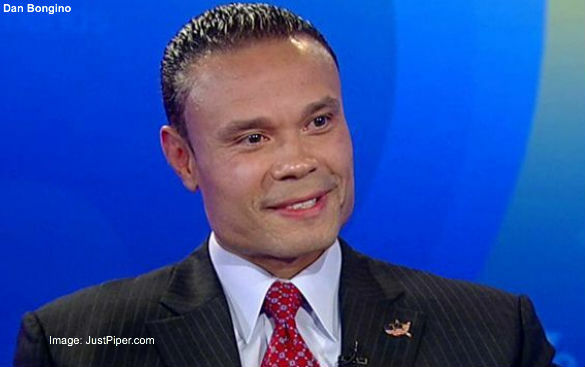 As we said when we reviewed Bongino’s book, he is an idealist and a man of courage, passion and humanity who is one of the best spokesmen going for the passionate, freedom oriented conservatism that is reminiscent of the best of Jack Kemp and Ronald Reagan. Click here to read our review of Dan’s book, Life inside the Bubble. Click here to learn more about Dan Bongino’s campaign for Congress, including how to donate or volunteer.